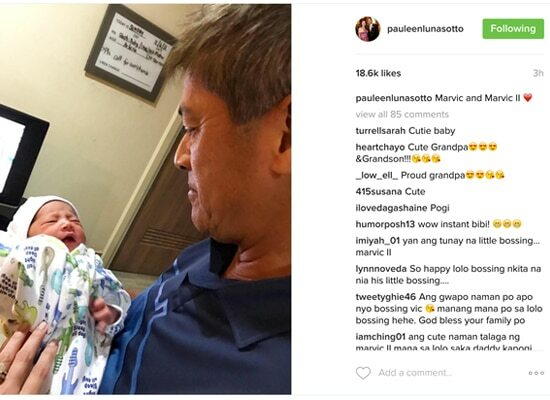 Kristine Hermosa recently gave birth to her and Oyo Sotto’s fourth child whom they named Marvic Valentin II, after Oyo’s dad Vic Sotto. Kristine Hermosa recently gave birth to her and Oyo Sotto’s fourth child whom they named Marvic Valentin II, after Oyo’s dad Vic Sotto. In a post by Kristine, the baby’s nickname will be Vin. 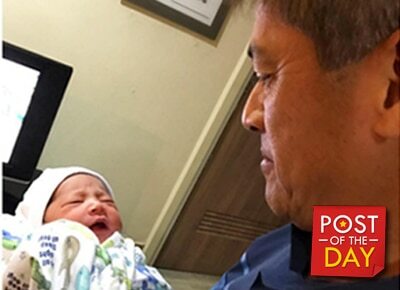 Pauleen Luna captured the proud and happy grandfather moment of Vic with his “tukayo” on Instagram.